Dr. Dupree Hatch is an Assistant Professor in the Department of Pediatrics, Division of Neonatology at the Vanderbilt University Medical Center, Director of Quality Improvement and Implementation Research in the Vanderbilt Neonatal Intensive Care Unit (NICU), and a practicing neonatologist at the Monroe Carell Jr. Children’s Hospital at Vanderbilt. He is board certified in Pediatrics and Neonatal-Perinatal Medicine. Dr. Hatch completed undergraduate and medical school at the University of Florida. 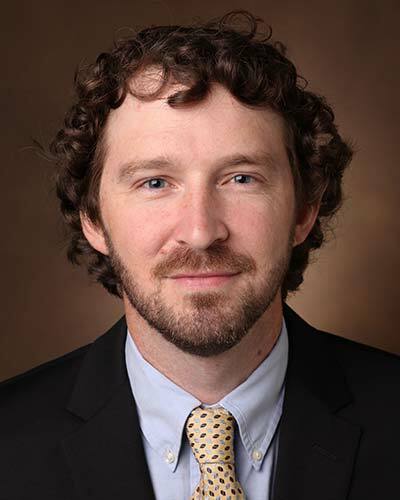 He completed his Pediatrics residency, Neonatal-Perinatal Medicine fellowship, and a Master of Public Health degree from the Vanderbilt University School of Medicine. Dr. Hatch's research focuses on improving the safety, effectiveness, and efficiency of mechanical ventilation (MV) in the NICU. His research uses methods from epidemiology, implementation science, human factors engineering, and quality improvement. Recent and ongoing work has focused on the safety of endotracheal intubation in newborns, the epidemiology of MV use in the NICU, the interplay of sedation and MV in newborns, and developing novel methods to measure and decrease harmful MV in the NICU. In addition to his research, Dr. Hatch organizes and leads the quality improvement program in the Vanderbilt NICU.